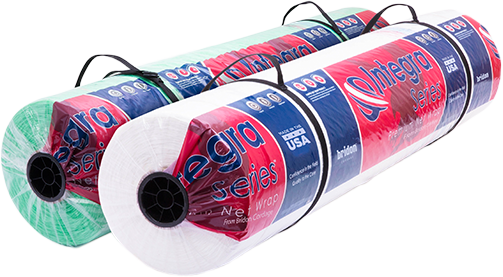 Our new Integra Series™ Premium Netwrap increases tensile strength, improves toughness and high UV stabilization. Our new Integra Series™ Premium Netwrap increases tensile strength, improved toughness and high UV stabilization. Our Magnet™ Netwrap offers improved coverage through enhanced net design while maintaining your bottom line. National Farm Machinery Show in Louisville, KY. February 13- 16.